Dr. Brian Stevenson, Lakehead's President and Vice-Chancellor, left, and Dr. Camillo Lento, from the Faculty of Business Administration, right, described the Economic Impact Study released on Monday, Oct. 23. A new report reveals that Lakehead University has an economic impact of more than $1.4 billion per year on Ontario’s gross domestic product (GDP). Dr. Brian Stevenson, Lakehead’s President & Vice-Chancellor, said the report confirmed his belief that the University’s impact was greater than previous estimates. The new Economic Impact Study found that Ontario’s GDP benefits from the Lakehead’s Thunder Bay campus to the tune of $1.301 billion per year, and from its Orillia campus with $122.7 million per year. The study’s leaders, Dr. Camillo Lento, Associate Professor in Lakehead’s Faculty of Business Administration, and the faculty’s Dean, Dr. Bahram Dadgostar, explained that the amounts were estimated based upon the University’s operating and capital spending, student and visitor spending, alumni spending, human capital development, and research and development. “In preparing our estimates, we worked with various internal and external stakeholders to ensure that we adopted a robust, comprehensive, and accepted approach that was based on reliable data and multipliers,” said Dr. Lento. Dr. Dadgostar added that while this report illustrates how important Lakehead University is to the economy of Ontario, and to Thunder Bay and Orillia, “the social and cultural impacts of Lakehead University are of equal importance. We should not forget about the social impacts of our University even though we are unable to quantify them." Dr. Dean Jobin-Bevans, who was appointed Principal of Lakehead’s Orillia campus earlier this year, said the study helped him further appreciate how connected his campus and University are to the city and region. 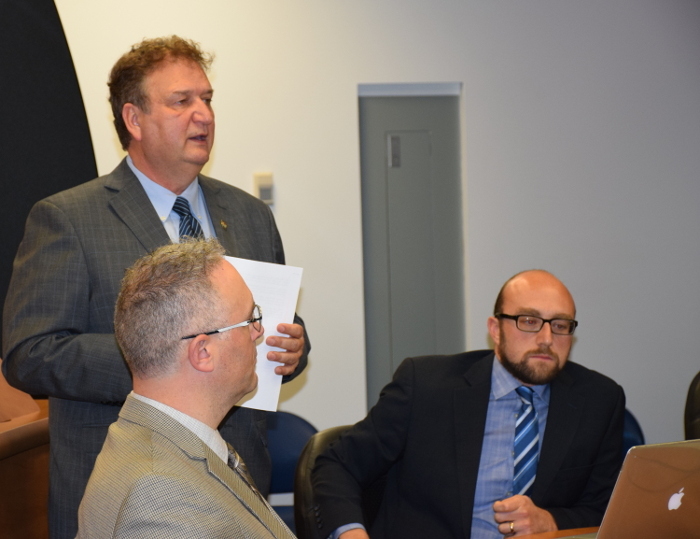 “We knew, intuitively, that Lakehead Orillia was deeply connected to the economic well-being of the region, however this report unequivocally demonstrates the critical role that we play as a public university,” he said. President Stevenson added that as one of Canada’s top universities, Lakehead is attracting students, faculty, staff, and researchers from around the world, and that has real positive impacts. To read the report, click here. Media: For more information or to arrange interviews, please contact Brandon Walker, Media Relations Officer, at (807) 343-8177, or mediarelations@lakeheadu.ca. Lakehead University has approximately 9,700 full-time equivalent students and 2,000 faculty and staff in 10 faculties at two campuses in Orillia and Thunder Bay, Ontario. Lakehead is a fully comprehensive university: home to Ontario’s newest Faculty of Law in 44 years, the Northern Ontario School of Medicine, and faculties of Engineering, Business Administration, Health & Behavioural Sciences, Social Sciences & Humanities, Science & Environmental Studies, Natural Resources Management, Education, and Graduate Studies. Maclean’s 2018 University Rankings place Lakehead University among Canada's Top 10 primarily undergraduate universities, as well as first in Total Research Dollars, second for Citations, and third for Scholarships and Bursaries. In 2016, for the second consecutive year, Re$earch Infosource ranked Lakehead first among Canada’s undergraduate universities. Visit www.lakeheadu.ca.